For more than 85 years, Hillcrest Medical Center (HMC), has been a healthcare leader in eastern Oklahoma. 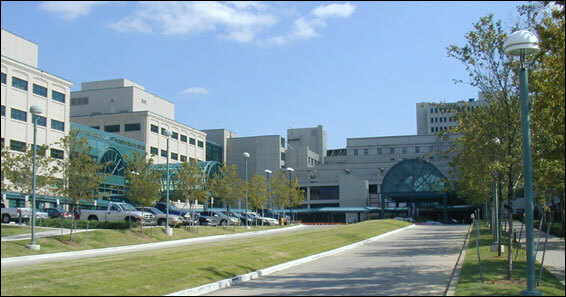 This 557-licensed-bed tertiary medical center offers a full continuum of care including comprehensive cardiovascular care through the James D. Harvey Center for Cardiovascular Research and the Congestive Heart Failure CARE Center. The hospital also provides services through the Center for Diabetes Management, the Alexander Burn Center, the Helmerich Cancer Center, the Hillcrest Bariatric Institute and the Hillcrest Sleep Center. HMC utilizes a number of progressive treatments for coronary artery disease, as well as surgical interventions. The hospital's Level 1 cardiology services provide patients the highest and most comprehensive cardiology care, 24 hours a day, 7 days a week. HMC provides specialized services for patients with congestive heart failure or chronic heart conditions. Comprehensive education and monitoring is conducted in an effort to reduce a patient's readmittance to the hospital or emergency room. Some of the nation's most groundbreaking cardiology research occurs at the James D. Harvey Center for Cardiovascular Research at HMC with Oklahoma Heart Institute (OHI) cardiologists. OHI is nationally recognized for its exceptionally dedicated and innovative cardiologists and staff. OHI's board-certified cardiologists have intensive training in subspecialties such as echocardiography, nuclear cardiology, congestive heart failure management, invasive cardiology and electrophysiology. Orthopaedic services at HMC are designed to improve a patient's quality of life through advanced techniques, extensive training and quality clinical care. The hospital offers comprehensive services for general, pediatric and sports medicine injuries. Our dedicated physicians also participate in research programs and provide support for local community athletic teams including the Tulsa Talons and Tulsa Oilers. The Center for Diabetes Management at HMC is designed to educate, develop treatment plans, encourage and assist diabetics. Our physicians also participate in numerous diabetes clinical trials. HMC offers a complete and modern program for the diagnosis and treatment of patients with cancer through the Helmerich Cancer Center. Advanced diagnostic techniques are utilized to help diagnosis and identify the disease and its progression. HMC participates in numerous cancer research protocols.